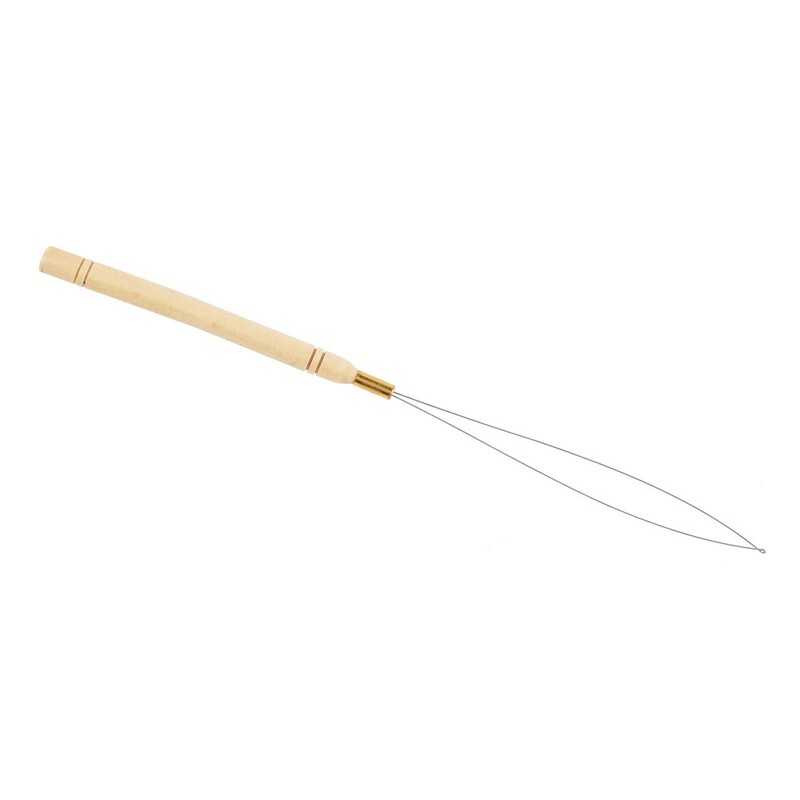 The wooden threader is an affordable tool which feeds hair into micro rings with ease. Made from a good quality metal wire, it is suitable to use with all micro ring sizes except for the Deluxe X-Small Nano Metal Micro Rings (∅1.7mm x 2.5mm). Alternative tools to feed hair through micro rings are Wire Feeder and Metal Latch Hooks. Also available is our Micro Ring Starter Kit which will give you all the tools you will need to apply hair extensions using this method of application. The Micro Ring technique is popular for its speedy, tidy, resin-free application and for a free-flow finish. Micro Rings can be attached strand by strand or for a quicker and easier method they can be attached to strips of wefts, attaching whole sections in just minutes. Feed Pre-bonded Micro Ring I-Tip strands with a micro ring wire feeder, wooden threader or latch hook. Seal with a Micro Ring 2 in 1 Connector and Disconnector that will close the ring tight, securing your natural hair and hair extensions together. Remove with the same tool. Micro Ring I-Tip Strands can be worn for up to 12 weeks. During this period a 4 weekly touch up is recommended as strands will loosen and drop as the natural hair sheds and grows.